You can register now for the convention, either on-line or by post, using the links on this home page. It is with great pleasure that Six of One announces our special Convention guest this year is Prisoner music editor, Eric Mival. Think of your favourite pieces, how music has caused you to feel, and then reflect on the part it played in creating the atmosphere of The Prisoner. From that driving opening theme music to the striking pieces that accompany the action in Fall Out. The role of music editor cannot be underestimated. How fortunate we are then, that this years Convention’s guest is Prisoner music editor, Eric Mival. We have him to thank for bringing his music skills to no less than thirteen episodes of this innovative and intriguing series. Eric came early to the project, initially as assistant editor on four episodes before graduating to the role for which we owe him so much. In all, Eric worked on The Prisoner for some eighteen months, and established a close personal relationship with Patrick McGoohan, indeed they retained a life-long friendship. Eric’s knowledge and insight into the series is both exceptional and engaging. 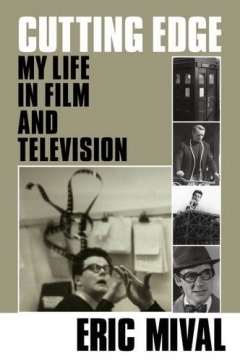 Eric has spent a lifetime in film, for example, he was film editor on a number of TV shows including: Strange Report, Top of the Pops, the William Hartnell Dr Who series, the ground-breaking Wednesday Play, and the Oscar nominated short film Oisin. In 2016 his autobiography, Cutting Edge, was published to great acclaim. For anyone with an interest in The Prisoner, it is essential reading, written by someone who truly was at the heart of the action. We extend a very warm welcome to Eric and we will no doubt be enthralled by his knowledge and enthusiasm, not just for The Prisoner, but a number of the many other films and TV series he has had involvement in during a lifetime in this field. Convention updates and news will appear on this site and the Six of One Facebook site, as they emerge. 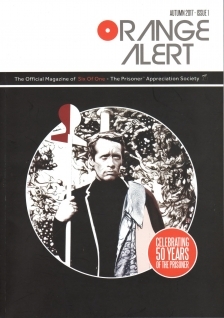 provides members with a tri-annual glossy colour magazine "Orange Alert,"
which is packed full with news, views, photographs, production stills, behind the scenes revelations and interesting facts & articles on The Prisoner and society news. Society membership also allows you to register and attend Six of One's annual Prisoner convention 'PortmeiriCon', which is held in Portmeirion each year, where the series was filmed. For new members joining from January 1st 2018 onwards, unless otherwise requested, membership will commence on the 1st April 2018. In the meantime new members will receive a complementary CD containing PDF copies of the previous subscription year's three magazines. This will be sent out in March 2018 and the first magazine of the 2018/2019 subscription year will be sent out in June 2018. Members receive three society magazines each subscription year in June, October and February. For purposes of PortmeiriCon registration, there is no need to wait. Your membership status is immediate and therefore, you can register for the Prisoner convention upon joining Six of One. Six of One is dedicated to the appreciation of The Prisoner television series and easy navigation can be made from this home page to many pages contained within this website. From the easy links below you can join Six of One or renew your society membership; Register for the Prisoner convention held at Portmeirion each year; Apply for convention accommodation in Portmeirion; Submit an article or item for your society magazine 'Orange Alert'; Read Info about Six of One; Contact Six of One; View The Prisoner and Portmeirion pages; Visit our Six of One Facebook page and other related society web-links. Our twelve-month membership subscription season commences on 1st April each year and runs to 31st March. After joining you will receive three society mailings, spread equidistantly over the 12 month period, which will include the full colour society magazine 'Orange Alert' and other items. If you join later than April, we will send you exactly the same content but this will be over a shorter period. An invitation to re-join Six of One will be sent with your final mailing of the current season. See right column for more details. The contents of the mailing package is the same for everyone but, as it comes from the UK, the cost of postage is higher to other countries which is why there are different subscription rates dependent on your location. You can join Six of One online by using the 'PayPal' secure payment page and selecting the appropriate payment panel for the subscription rate applicable to your country of residence. You can opt for an "Individual membership" or alternatively a "Joint membership" if you have another person at your same address who would like to come along to what would normally be members-only events. NB: If you opt for the latter, please also tell us the full name of the joint member. After paying your subscription fee, you will receive notification by email from PayPal that your subscription has been received, and Six of One will receive your mailing address at the same time. No other receipt will be sent unless requested. Subscriptions are priced in GBP Sterling, which Paypal will convert from your currency on payment. There is an online printable membership form if you would prefer to join by postal application. If you require a receipt of your payment, please enclose a stamp addressed envelope to yourself, with your postal application. 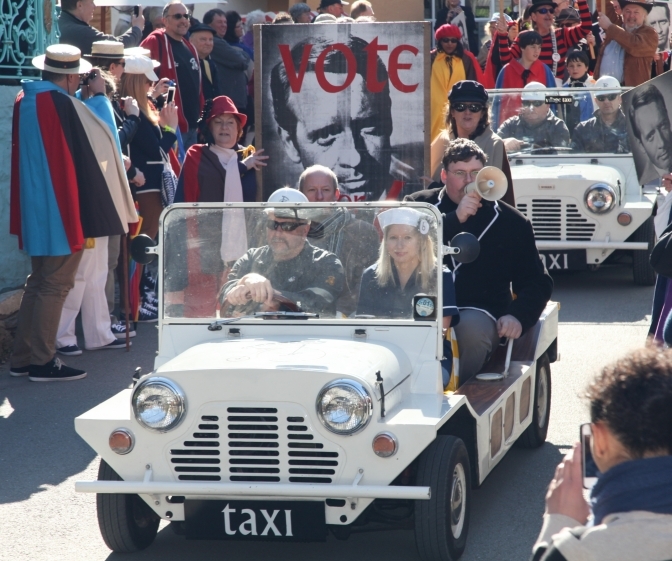 Join in the fun of the annual “The Prisoner” convention, held in the grounds of Portmeirion, the colourful setting that doubled for “The Village” in the TV series. With a full programme of both inside and outside events, the convention is a must-attend for every enthusiast of The Prisoner or those interested in cult television generally. The current Six of One administration team have been organising conventions at Portmeirion since 2001 and each year strive to make the next convention even better. Conventions are self-financing and the organisation, preparation, setting up and running of the event each year is on a completely voluntary basis, provided by a dedicated group of people. Conventions are for members and are always promoted and run in a very friendly atmosphere. 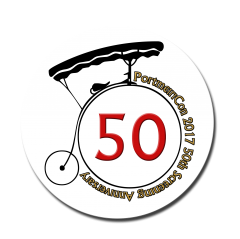 Six of One would like to thank Portmeirion and all their staff for all of their support and the continued success of Portmeiricon. CLICK HERE to register for PortmeiriCon 2018 – BCNU. Patrick McGoohan plays a man who resigns from a top secret position and is abducted from his London home. He finds himself in a beautiful village where everything is bright and cheerful – the people, their clothes, the buildings, the flowers. But despite this rosy exterior, the village serves a sinister purpose. People are forcibly brought there in order to have their valuable knowledge protected or extracted. Everyone in the village is assigned a number instead of a name – the prisoner is Number Six. Chief interrogator and administrator is Number Two, but he isn’t the boss – an unseen Number One is the boss. Failure is not tolerated in the village, and most episodes feature a new Number Two, though some are privileged to return for a second chance to break Number Six and discover why he resigned. The Prisoner struggles to keep this information from his captors and to find out which side runs the village and where it is. He strives to discover the identity of Number One , and above all, he attempts to escape. 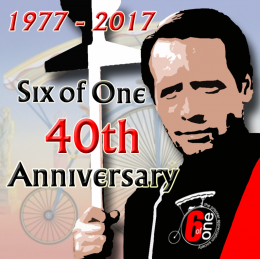 SIX OF ONE, established in 1977, is a non-commercial society and is the only official appreciation society for THE PRISONER television series. Six of One is administered by a small number of enthusiasts, all unpaid volunteers working in their own free time. There is no "head" of the society, all decisions are made by democratic means through members of the Organisation Team. Team members are simply those who undertake a body of work on behalf of the society as a whole and the team expands and contracts to meet changing circumstances or demands. 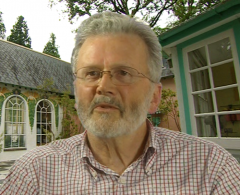 Society members are encouraged to participate, if they wish to do so, at every level.There is a convention at Portmeirion, where the series was filmed, and other social events and location visits are organised from time-to-time. Membership of the society is by annual subscription and brings regular mailings which include a quality professionally printed magazine each time plus other printed items. You can join online by credit card or by mail. “The Prisoner” is copyright Granada Ventures. 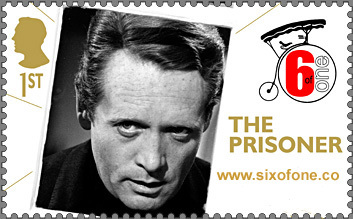 Six of One is the only official appreciation society for The Prisoner. All copyright material is used with permission. Web design Al Beale. Facebook admin Debs McDougall.